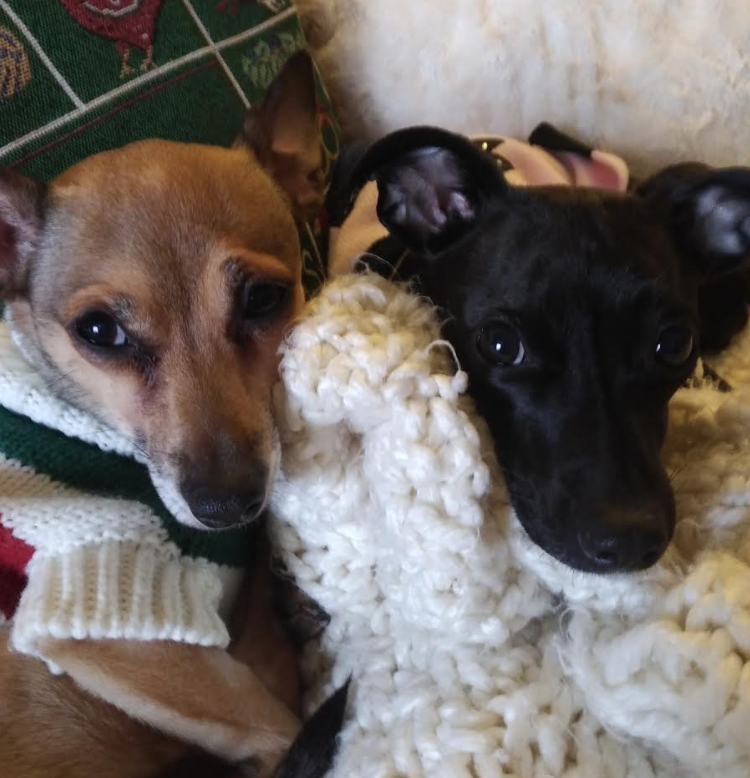 Fiorella is a 5-year-old chihuahua mix that is bonded to her sister Valentina. Fiorella loves barking at squirrels and hanging out with her sister/BFF Valentina. She does not like winter and prefers to cuddle up on the couch. Like most tiny dogs, Fiorella wears sweaters to keep her warm but don’t worry she is always fashionable! Tiny dogs can be overwhelmed easily so when meeting strangers they can be a bit reserved but warm up quickly! She and her sister would make the ideal combo for city living!